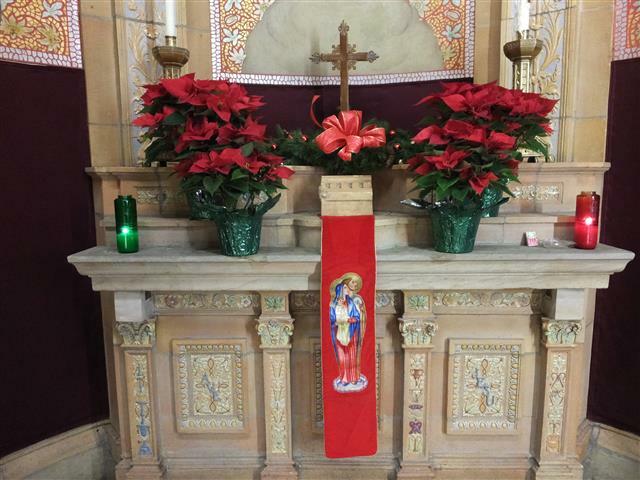 Click HERE to view photos of our church decorated for Christmas. Tuesday, December 30 ~ NO Choir Rehearsal. Thursday, January 1 ~ New Year’s Day ~ NO BINGO. Saturday, January 3 from 10:30 a.m. to 12 Noon ~ Helping Hands Food Pantry in St. Charles Hall. Saturday, January 3 at 8:00 p.m. ~ Bingo will be played in St. Charles Hall. 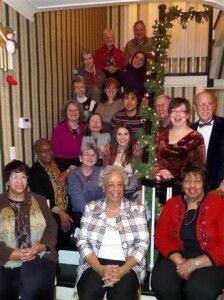 Sunday, January 4 at 9:30 a.m. ~ Choir Rehearsal in Church. Monday, December 29 ~ Communion Service at 11:00 a.m.
Christmas in the City ~ This Sunday, December 28, the Catholic Churches of Central Buffalo (CCCB) will be celebrating together at St. Martin de Porres Church, 555 Northampton St. beginning at 2:00 p.m. All are invited to attend and enjoy Christmas music provided by church musicians and choirs. Please bring your favorite Christmas finger foods or cookies to share. Beverages will be provided. Bring family and friends. A Request from Our Ushers ~ Following services and other events held in church, we find all kinds of items left in the pews: hats, gloves, scarves, eye/sun glasses, jewelry, books, toys, etc. Items are kept in the Ushers Room in the back of church near the front entrance. If you are missing something, please look at “the collection” by January 1, 2015. All unclaimed items will then be given to the St. Vincent de Paul Society. Thanks for your cooperation. Sodality Mailing ~ The officers and directors of our Ladies Sodality are planning to assemble in St. Charles Hall on Wednesday, January 7, at 7:00 p.m. to prepare a mass mailing of tickets for the February 15, 2015 Basket of Cheer Raffle. They invite other Sodality members to join them and help with the folding, stuffing and sealing. Our Trinity Concert Series continues at 3:00 p.m. on Sunday, January 11, 2015, with Christmas Re-Gifted. These choristers have enjoyed the music of the season so much, they have decided to re-gift it – twice! Join us for a post-holiday concert featuring the combined choirs of Blessed Trinity and Our Lady of Pompeii Churches performing favorites from their Christmas repertoires, directed and accompanied by Nick DelBello and Peter Gonciarz. The program repeats at Our Lady of Pompeii Church, 158 Lavarack Ave., Lancaster on Friday, January 16, at 7:00 p.m.
Save the Date ~ On Sunday, January 18 at 10:00 a. m. we will be hosting the Celebration of the Annual Martin Luther King, Jr. Mass here at Blessed Trinity. Bishop Richard Malone will preside at the Mass. Our Choir will be providing some of the music for the Liturgy. A reception, coordinated by Jessie Wells will take place in the hall following the Mass. More details will follow. Be a Lifeline for Someone in Need. Catholic Charities’ Telephone Assurance Program is a free volunteer service providing regular telephone calls to seniors and disabled individuals or those who are isolated and homebound. Relationships grow and last for years through a regular daily, weekly or monthly call. If you are willing to place calls or know someone in Chautauqua, Erie, Genesee or Orleans county who would like to receive calls, contact Carolyn Kwiatkowski at Catholic Charities, (716) 218-1450 ext. 2003. 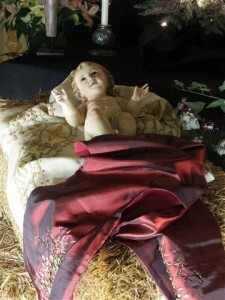 Christmas Nativity Sets on Display through January 4 ~ The annual display of nativity sets is now taking place at Ss. Columba-Brigid Church located at 75 Hickory Street at Eagle (one block south of Clinton Street in downtown Buffalo). There are 507 creches from 57 countries with a special section for the children. Sets are made from such diverse materials as banana leaves, corn husks, newspapers, automobile parts, rice, cork, and coal. The display runs each weekend through January 4 on Saturdays and Sundays from 1-4 p.m. It is free and handicap accessible.